What is it that causes your life to be disrupted? Has it come from you? Or been imposed from the outside? How did it limit you? Or were the limits the ones you put on yourself? Who gave or taught you that there are limits? Yes I know there has always been a case of limits – ‘this far and no more’ – from when we were little as we needed to be kept safe until we knew who or what was going to hurt us or not. And yes, I know of that struggle, that frustration that occurs while we are testing out those restrictions or boundaries – all the internal and external pushing and shoving to be free. Those screams of frustration can literally be put on or heard by others – and we are no longer a one or two year old! – one way or another not a good time for any one. I want to remind you that there is loads of wasted energy trapped inside you (I call it ‘Caged Tiger’) as you come up against that frustration – that disruption. What are you doing with it? How are you hurting yourself? How is it being enacted out in your personal and professional life? Don’t think you have handled it. I can assure you in my own life (particularly at the moment) and in my work with women, for many, it is still there expressing itself in many different ways – whether labelled anger, compliance, frustration or depression. And that’s slowly choking your spirit – your ‘joie de vivre’. I know I am asking lots of questions and here is a really important one for you to ask yourself. How you are disrupting yourself from that place of Acceptance? It’s really important that you ask yourself this. I can only talk about my own personal experience right now when I simply couldn’t accept that I had broken a bone in my wrist. Of course, I did all the right things and have a lovely fluorescent yellow plaster cast, flowers, offers of help, shopping done for me AND still I raged against it internally. This is not me!! This is not happening!! It has taken me a wee while to accept my reality as it has been so difficult for me to accept that I will have to let go of my norm and allow myself to be taken care of. Now there is a freedom for me to surrender to what is. I am sure some of you will understand this. I want to tell you that these disruptions will happen regardless and usually out of the blue – whether from our own doing or not! This is a truth that we need to acknowledge and go with – whether we huff and puff, scream and shout, pretend they are not happening or whatever it is you usually do! Nowadays, I see myself to be a Wise Old Crone (who doesn’t always listen to herself!) with lots to offer (coaching, supervision, courses) as I come from a place of maturity, warmth, humour and wisdom, and much more from a place of acceptance of myself and others. 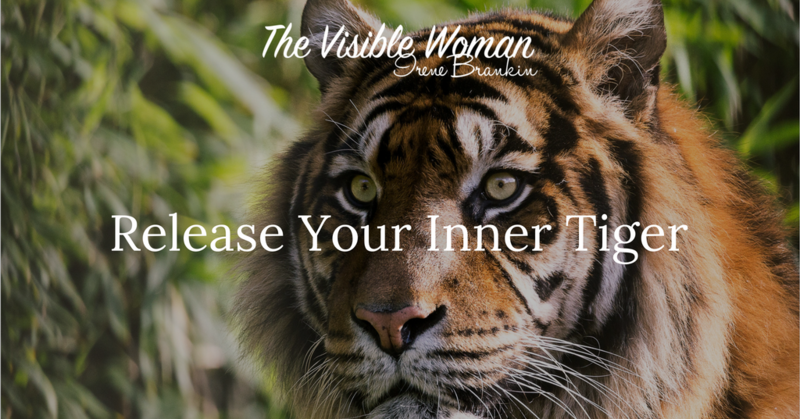 I’d love to be alongside you as you release your inner tiger and break through your disruptions. When you will come from that place of acceptance and reality and take action to live out your yearning. Get in touch by e-mail irene@irenrbrankin.co.uk, leave your telephone number and I’ll give you a call to discuss how I can serve you. Next PostARE YOU ALL OF YOU?